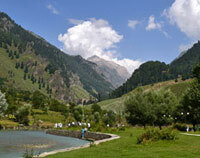 Pahalgam is a beautiful small village in the Anantnag district of Jammu and Kashmir. 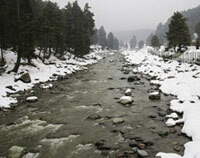 Surrounded by steep hills and a white river transversing the valley makes Pahalgam the most craving tourist destination. From here you can gaze by the snow peaked mountains at the distance. This a photographer’s hub from where you can capture the beautiful moments of the nature. 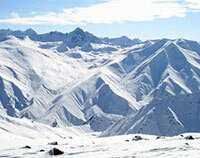 It is also one of Bollywood’s most desired shooting destination. 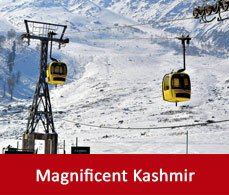 It houses many of the attractions in Pahalgam which is included in many of the tour packages to cover all the beautiful corners of Pahalgam. 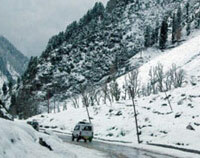 It is just 15 km away from Pahalgam in the Anantnag district of Jammu and Kashmir. The name of the valley is inherited from the name of the famous film Betaab of Sunny Deol and Amrita Singh as the shooting was covered there. It is in the middle of Chandanwari Pahalgam and is covered by the snow peaked mountains and lovely lush green meadows making a velvety path. 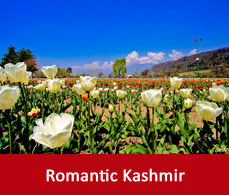 Come in this romantic valley of Betaab and indulge in the romanticism of Pahalgam. 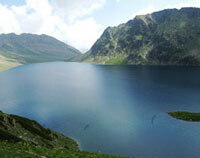 Situated at an altitude of 3590 metres above the sea level Sheshnag lake glistens with crystal clear water. Due to low percentage of algal production the water of the lake is fresh and clean for drinking. Sheshnag glows with the green water as the greenery surrounding the lake makes it green. The base of the hills surrounding Sheshnag slopes down and seems to be merging with the lake. 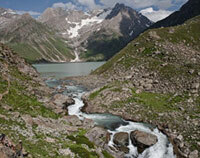 The 73 km long river is snow fed and is known as the main tributary of the Indus river. It derives its name from its adjoining picturesque Lidder village. Come here and repose yourself with the peace of nature thriving in this place. 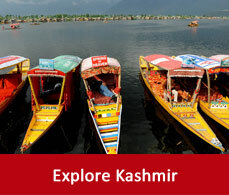 You can also involve yourself in the activities like trekking, angling and rafting. Located at a distance of 12 km from Pahalgam, this village is surrounded by greens and behind the greens the tall snow topped mountains raises their head giving it a more picturesque view. Trekking to this place is very much alluring as the way towards it will make you elated and from here also you can trek towards Kolohoi glacier. 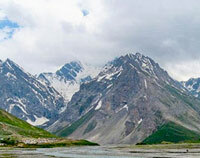 This is located at a distance of 40 km from Pahalgam and 13 km from the Sheshnag.It derives its name as it is located at the conjunction of five streams. It is the last stoppage towards the Amarnath Yatra. This way leads to the Amarnath cave and is famous for camping. Known as the Switzerland of India, Baisaran valley is surrounded by green meadows and is lined up by tall pine tree forest. This entire region is encircled within the snow peaked mountains. 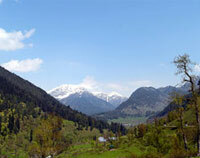 It is an ideal place for trekking and it shares panoramic view of the town and the village. 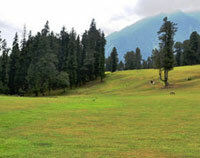 Located at a distance of 15 km from Pahalgam it takes 40 mins to reach Chandanwari from Pahalgam. As you approach towards Chandanwari you will pass through the old Pahalgam town lined up by some traditional kashmiri houses. Many waterfalls coming out of the melted snow decorates the sides of the roads. This temple is located at the walking distance from Pahalgam. 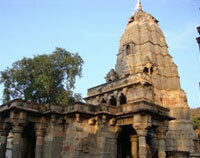 It is dedicated to Lord shiva . It houses a square tank made of stone. It is said that this temple was built in the 12th century.It is one of the sacred place of the famous Pahalgam sightseeing places. It is a hanging glacier situated up the Lidder valley just below mount Kolohoi. But the glacier is suffering from hollowness at some places because of global warming. Reaching to Kolohoi will be a bit difficult as the path is full of some difficult terrains with breathtaking views. Situated at a height of 4000 m above sea level one of the distinguishing feature of the lake is that it remains frozen throughout the year. It takes two days to reach here by trekking from Aru. Pony rides are also available to reach there.